Many thanks to everyone that stopped by during the Andazamania festivities. Although you were a quiet bunch, you blew away previous site records for number of visitors, number of views, and Adsense income (actually, it was nonzero for the first time) I hope you enjoyed reading my updates as much as I enjoyed making them. It was a stay unlike any that I’ve ever made. Every waking moment from check-in to check-out was spent either gathering photos and videos for the update, or putting it all together on the site. I slept maybe three hours the entire time, and was still so rushed that I have a shirt and a pair of socks waiting for me there on my next visit. But this was a hotel for which no independent information was available, and I really wanted to try and cover it as far and as wide as I possibly could. It was so frazzling though that I thought it best to give myself a night to cool down a bit before I tried to put the Andaz Tokyo Toranomon Hills experience into a proper summation. For all of the others in the “Introducing…” series of Tokyo Hyatt hotel posts, I have taken the approach of sparse use of pictures in order that I may use words to paint a picture of the hotel that will compel you to come to Tokyo and experience it yourselves. The Hyatt Regency Hakone Resort and Spa was somewhat of a qualified recommendation, but I wholeheartedly recommend that everyone experience either the Hyatt Regency Tokyo, the Grand Hyatt Tokyo, or (especially?) 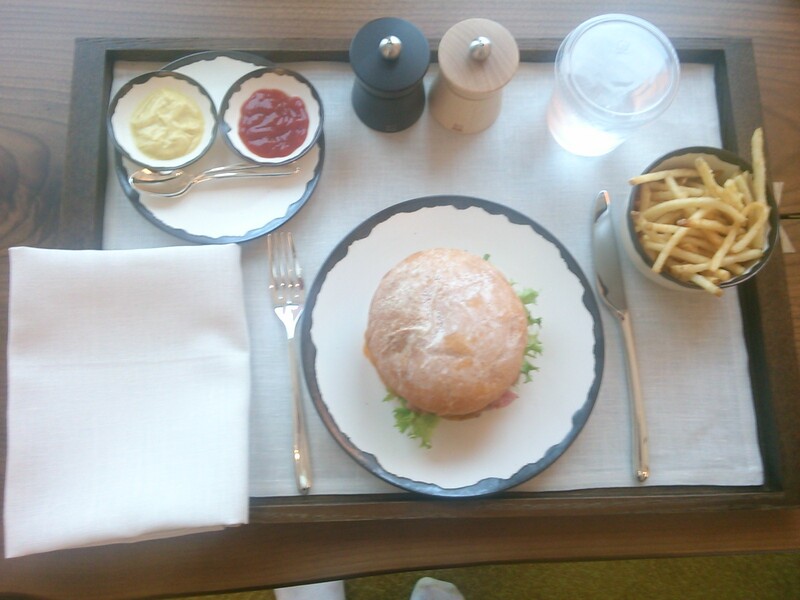 the Park Hyatt Tokyo. However, now two nights removed from my Andaz Tokyo stay, my overall feelings are still…mixed. Therefore, to reflect those mixed feelings, I’ve decided to give you three reasons that you should stay at the Andaz Tokyo, and three reasons that you should not. Please do with these opinions what you will. Spa/Pool Experience: I intend to write an article comparing and contrasting the pool experiences at the Tokyo Hyatt hotels, but I’ll say right now that the Andaz Tokyo facilities will be number one. Beautiful design, plenty of functional fun, a treat for all of the senses. Of the regular staff, the people attending to the pool area are my favorite, especially the young gentleman that I know from his days at the Park Hyatt Tokyo. These facilities are guaranteed to impress. Food: While I cannot say that I had a representative sample of the food offerings, the Bebu Burger was perhaps the best hamburger I have ever eaten, and the morning breakfast buffet at the Tavern was not only delicious, but a really fun experience in what felt like a trendy millionaire’s kitchen. Between the Andaz offerings and all the great places in the brand new Toranomon Hills complex, this place really felt like Foodie Central. Adventure: If you’ve stayed at all of the Tokyo Hyatt hotels multiple times and are craving something different, you will find it here. The mission of Andaz hotels is completely different from what you experience elsewhere (I’ll touch on the execution of that mission later) And the design is probably unlike anything you have ever experienced in any other Tokyo hotel. I likened the walls to a padded room of an insane asylum. I spent a lot of time in this room, but I never felt comfortable in it. Ambiance: The Front Office Manager, a very nice lady moving over from the Andaz London, explained the concept of mi casa su casa, that the Andaz style was to break down barriers between the staff and the guests, and make the place feel like an extension of your own home. She was an exemplary example of the execution of this concept, but she was the lone exception. The mostly Japanese staff promptly re-erected those barriers, and made me feel quite uncomfortable when trying to do simple things like grab a drink. They are all nice people, but as of now, they fail to execute the Andaz vision. Some people may not notice this, some people may prefer this traditional type of service, but I found the concurrent clash of styles to be another reason why I could never really get comfortable during my stay. Perhaps this aspect of the stay will improve with time, and one day everyone will “get” the Andaz mission like Ms. Lobo does. Location: Similar to the Park Hyatt Tokyo, if you are coming to Tokyo to see the sights and go out and do many things, you will find the Toranomon Hills location somewhat inconvenient. There is also currently no Limousine Bus service from the airport, so if you are arriving from overseas, you will have a more difficult time getting here than the other Tokyo Hyatt options. I will return again later this summer. I will stay in a suite, I will be going with my family, and I will be going for the main purpose of enjoying myself. 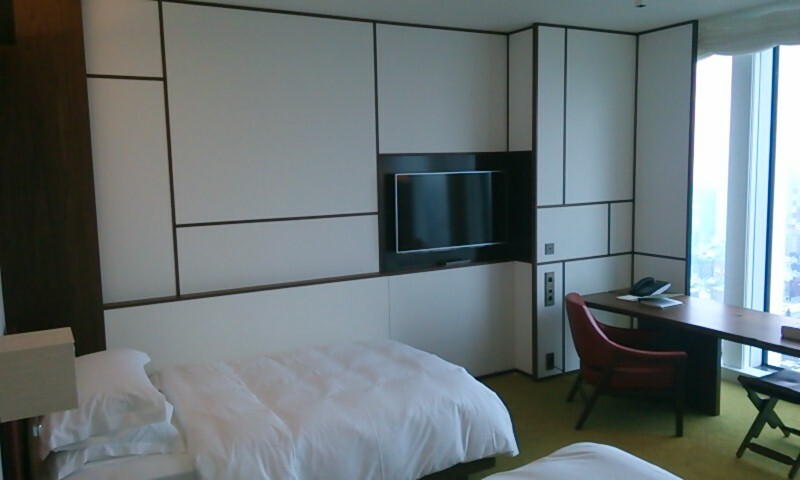 Perhaps that will cause me to revise my overall opinion of the Andaz Tokyo. I will update this article with my thoughts if that proves to be the case.